Cook pasta according to package directions. Rinse, drain and combine the pasta and beans in a mixing bowl. Place all dressing ingredients in a small bowl and whisk until it thickens. Pour the dressing over the pasta and beans. Cover, and marinate for 1 hour at room temperature or refrigerate for up to 24 hours. 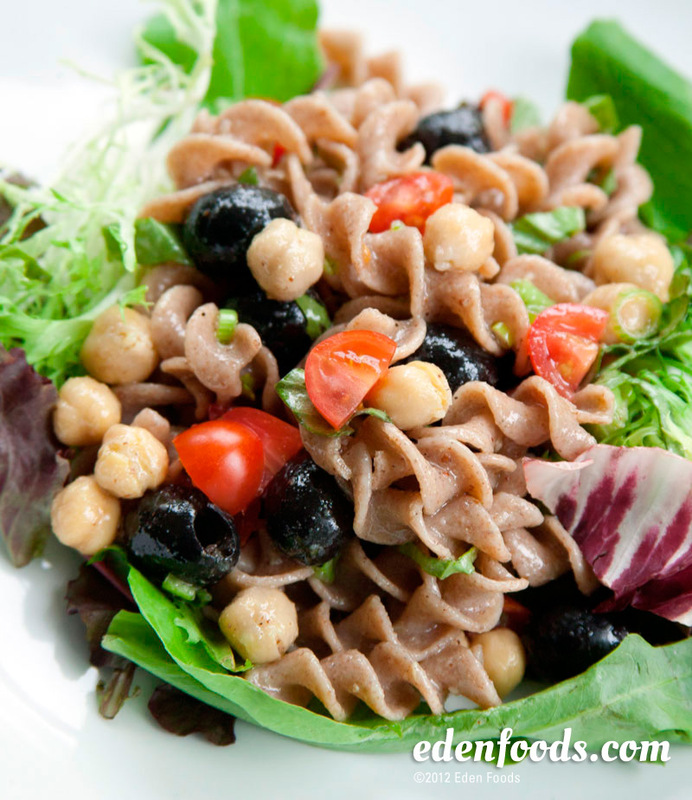 Before serving, add cherry tomatoes, basil, olives and scallions to the pasta mixture. Toss together and serve on a bed of baby salad greens.